If you are looking for a new crafting medium, try ribbon. There are many decorative and useful projects you can make with various types of ribbon. 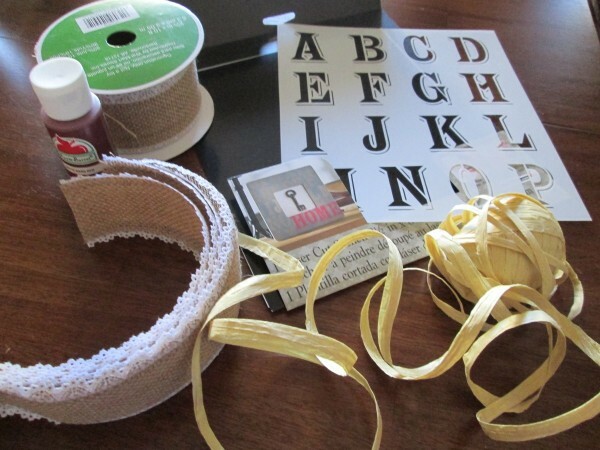 This is a guide about ribbon craft ideas. 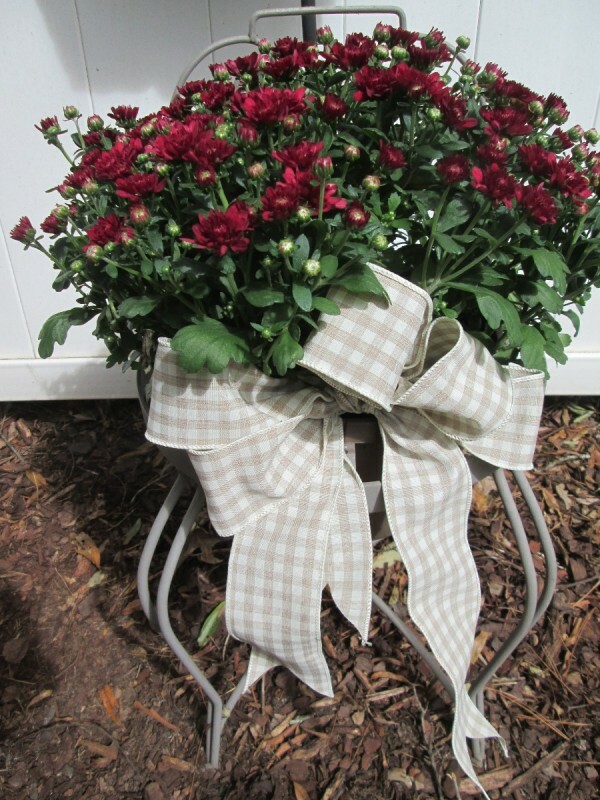 I love using ribbon or fabric strips to dress up planters and pots.The ribbon with wire holds up the best and if outside in the elements, it keeps its shape and color. 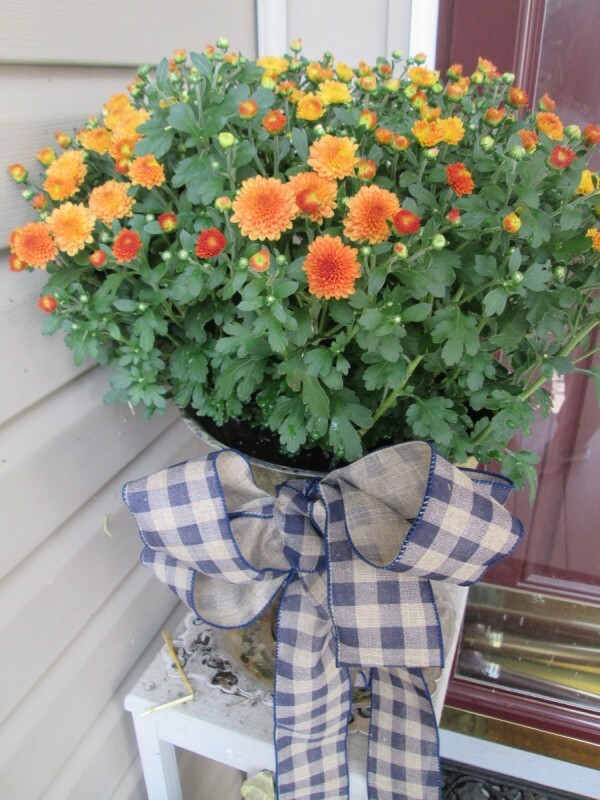 This look gives any basic pot, planter, or even a window box, that final jewelry accessory to your planting outfit. With ribbon or fabric, make loops doing figure 8s. Pinch in the center of your figure 8 and apply a piece of floral wire approximately 10 inches long. The rest of the wire, after securing the bow by looping around tightly, will be used to make a stem to go down in your planter soil. 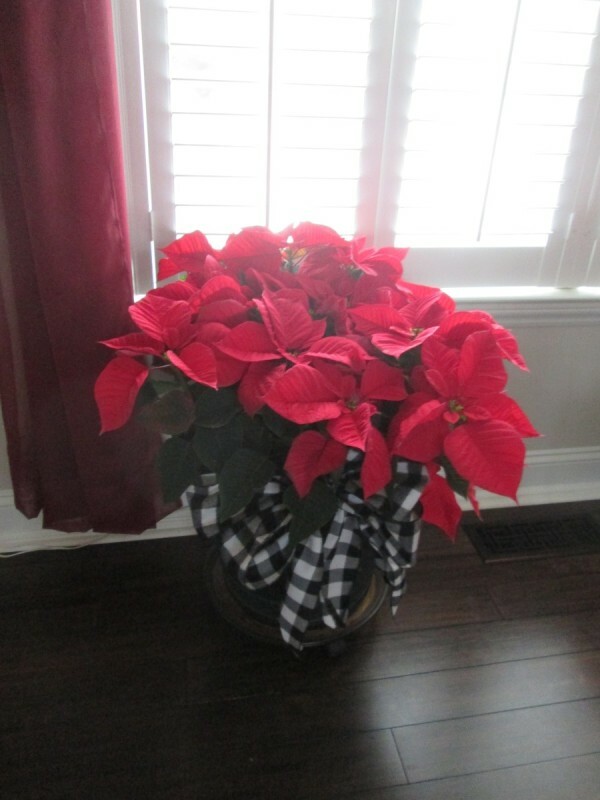 Once your bows are made accessorize any or all of your pots. Ever purchase a puzzle you can't get to for a while? I did, and since the "Libra Lady's" birthday is coming up and I won't be here, I thought it would be nice to give her the front so she can enjoy it. I simply cut out the photo, punched holes around the perimeter, and threaded pretty ribbon through them. To punch holes evenly, which is vital to it looking nice and even, you begin with a hole on each corner. Then, do one in the middle of the top and bottom, and the sides, using a ruler to measure. Then, simply keep doing that, halving each space till the desired spacing is done. You can also crochet them but it's harder and takes longer. If you do, you will need a hook small enough to go into the holes and crochet thread is recommended. I thought this was worth sharing, so enjoy! Source: Been doing this for a long time. I am making cards that have a ribbon on the side to attach the blank paper insert. The ribbon is tied and stays in place relatively well but I was thinking of putting hairspray over the ribbon to keep it firm. Has anyone got any advice or other suggestions. Taa. 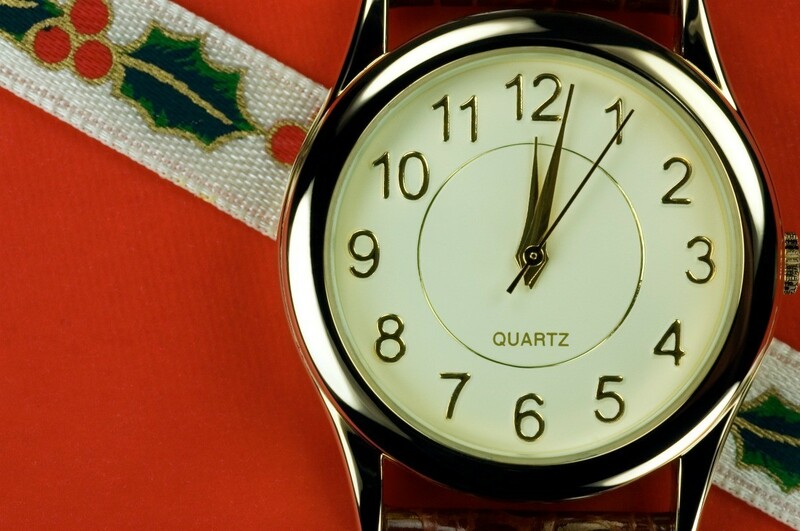 I'd say if the ribbon is staying relatively well, leave it alone. If the card is just to look at (a letter or an announcement/invitation) it's not going to get lots of actual "use" where you'd want to reinforce it. I think the hairspray is unnecessary and will show. iron ribbons between two sheets of wax paper; using a warm never HOT iron. A reader not long ago suggested a web site that gave different "wordings" for invitations.Maybe it can be found in the archives.It also explained how to tie a ribbon on an invitation.Using a hole punch,make 2 holes less than 1/2" apart.Cut thr ribbon the length you want it. Thread your ribbon to the BACK through each hole.To make the left loop thread the RIGHT side of ribbon to the FRONT using the LEFT HOLE.Then take the ribbon you've threaded back to the FRONT using the RIGHT hole.This will make a loop on the left and an end on the right.Follow this same procedure RIGHT hole to LEFT HOLE.This makes a PERFECT BOW. I hope I have explained this well enough that you can understand my directions.If not hopefully they can dig up the old article.Don't do anything until you try this method.It looks really professional. Spray starch may be an option also. I'd suggest spray starch too. 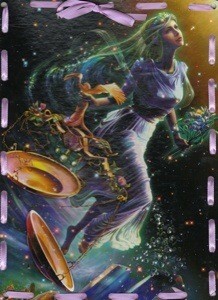 Hello Renee, I own a scrapbooing store in South Florida and we are currently using alot of ribbon on our pages. We like the "X" from xyron, it can be found at many scrapbooking stores or at Michaels craft stores. It is very simple to use and you may find it is the best thing ever for making a sticker out of small things. Best of luck to you! I am the program manager at an after-school program for girls ages 6-14, and we just received a big donation of assorted ribbon (different colors, widths, some are wired, etc.). I am looking for creative craft projects using ribbon. Any ideas? Thanks! A friend makes beautiful flower pins from wired (silk) ribbon. She forms a flower, hand-sews them into petals, and covers the raw edges with felt, then attaches a pin. For other ribbon, try weaving them into a square, line with fabric, and make into a pillow case. 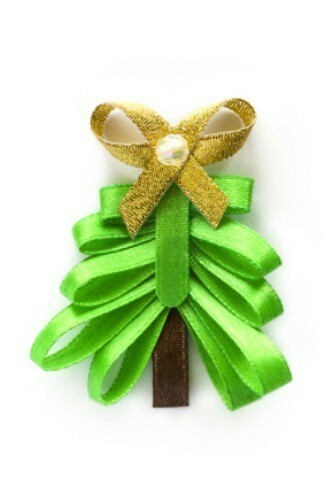 Grosgrain ribbons make cute hair bows, sewn or glued onto hair combs. Have fun! I've seen wreaths made from ribbons. Buy an embroidery hoop or macrame ring and tie the ribbons around it. Trim the ribbons so they are the same length. Have one longer length of ribbon tied on, to use as a hanger. A tree. Using a cone (Styrofoam or plastic or even recycled) just cut strips of varying sizes. Work from bottom to top. Fashioning your own accessories or package adornments can be fun with this stiffened ribbon. 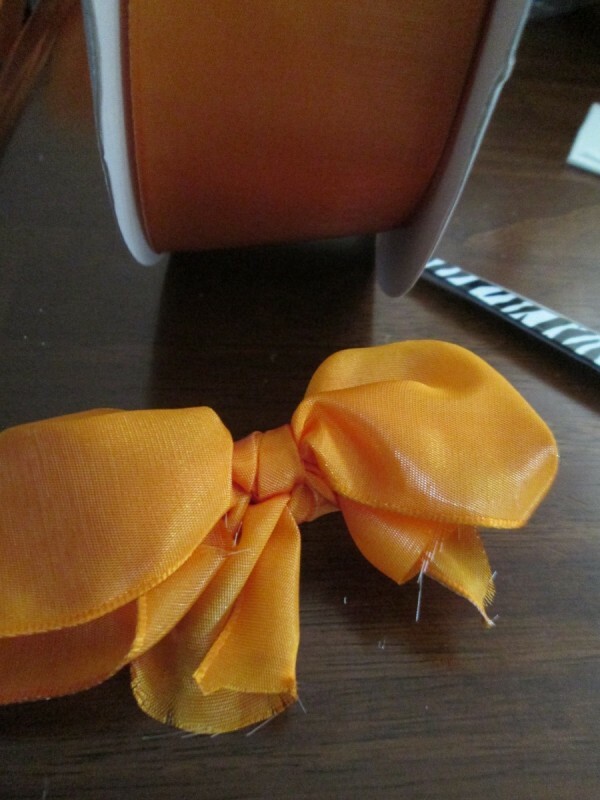 This is a guide about making a wire-edged ribbon bow. This is a guide about making a ribbon brooch. 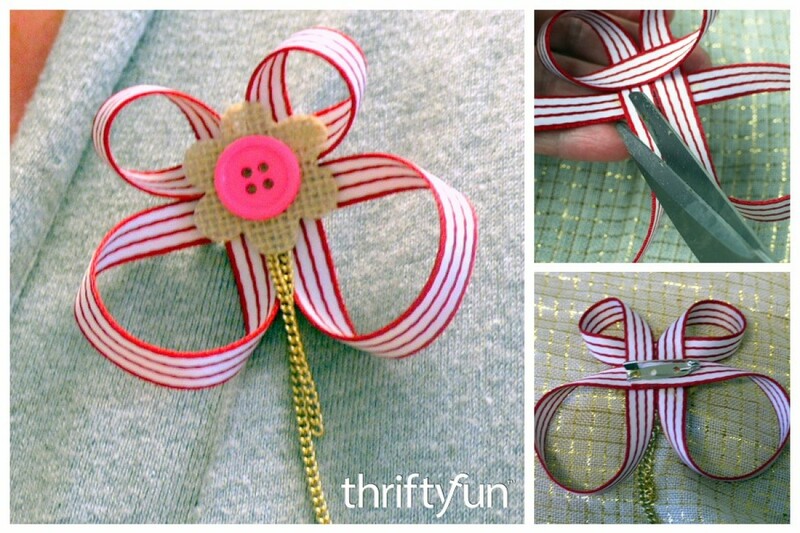 Use a pretty piece of ribbon and decorative button to make yourself a unique brooch. If you need a bit of the green to wear this St. Patrick's Day, try making this simple shamrock pin. 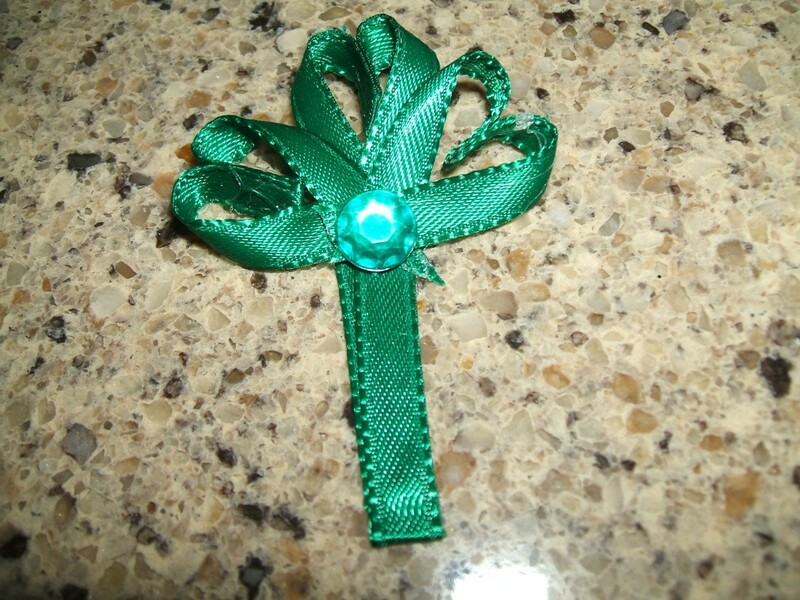 This page contains instructions for making a ribbon shamrock pin. 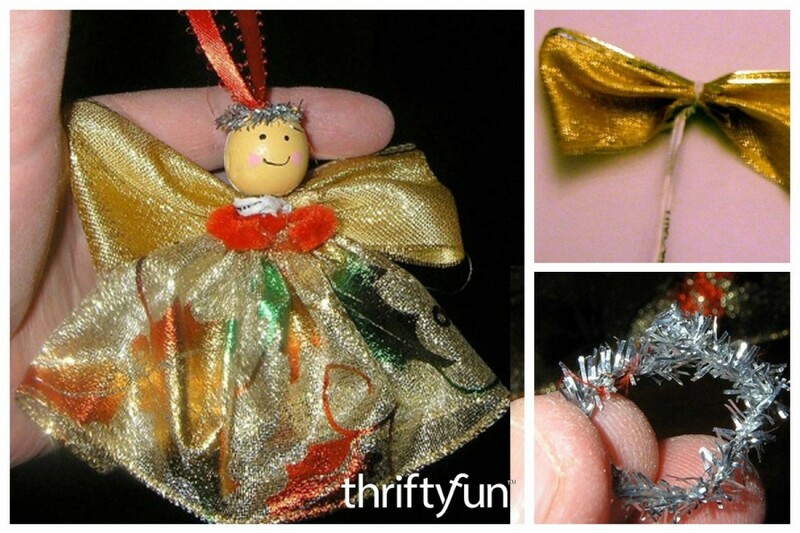 This is a guide about making a ribbon angel. An inexpensive ornament to make that can decorate a Christmas tree or be a fun gift. 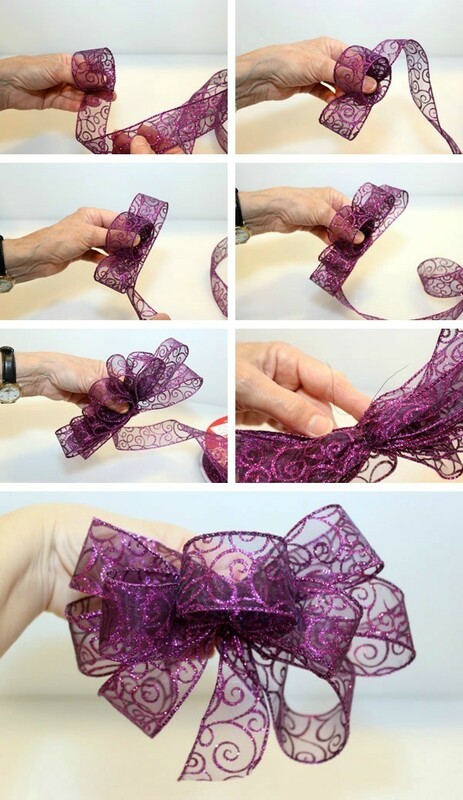 This is a guide about making a ribbon-covered necklace. 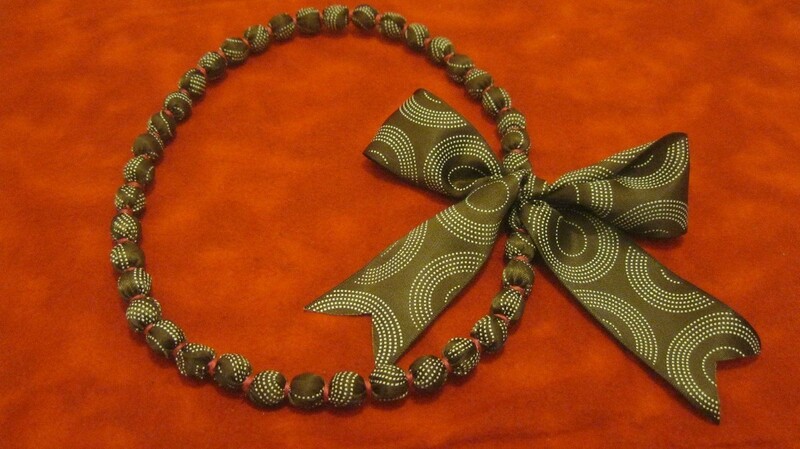 An inexpensive, personalized necklace can be fashioned with large wooden beads and stiff ribbon.